Our aim is to develop the potential, reputation and standing of the further education sector. We want to promote and highlight high achievement in further education. The Chartered Institution for Further Education was established to highlight the excellence of further education and skills training providers. We do this by recognising and celebrating high achievement in this vital sector. We are a membership body for Further Education colleges and training providers in the UK with exceptionally high standards. Who is involved with The Chartered Institution for Further Education? Lord Lingfield was knighted in 1993 for his services to education and created a Peer for life in 2010. He has been a teacher, researcher, lecturer and education policy maker. 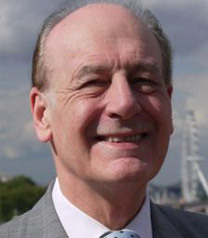 In the 1990s he was a senior adviser in education to the government and in charge of the policy of independence for state schools, and was Pro-Chancellor of Brunel University from 2006-13. 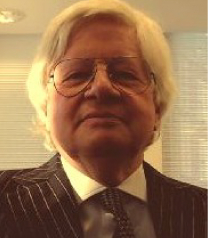 He is author of the Lingfield Report on Professionalism in Further Education, and currently Chairman of the Cadet Vocational Qualification Organisation, CVQO, and the English Schools’ Orchestra. 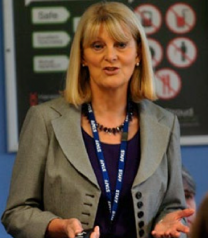 Dawn is Deputy-chair of CIFE and Chief Executive and Principal of Burton and South Derbyshire College (BSDC). She was promoted to a CBE in the Queens New Year’s Honours 2015 from the OBE that she received in 2007 for her services to Education and Skills. Dawn holds many board level positions across a range of market leading organisations associated with Further and Higher Education, has lead a range of regional/national groups related to the technical and vocational sector within the UK and has received numerous accolades for her leading contribution to skills. Chris Jenks is a sociologist. He has published thirty books and numerous articles and chapters in books, many on the topics of education, childhood and culture. He has taught at every level from primary through to postgraduate, and was Head of Department, Professor and Pro-Warden (Research) at Goldsmiths College, and Vice-Chancellor and Principal of Brunel University. He is a Visiting Professor at the University of Trondheim, Norway and has been External Examiner at over ten UK Universities. 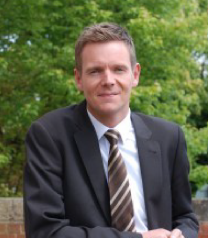 Andrew Wren joined Furness College as Principal and Chief Executive in September 2015. Having grown up in Cumbria, he moved to East Yorkshire, graduating from the University of Hull in 1993 with a BA (Joint Honours) in French and Scandinavian Studies. With a work background in hospitality and retail management, he moved into Further Education as a lecturer at Hull College in 2002 before taking up a new post at East Riding College where he became Vice Principal. He completed a Postgraduate Certificate in Education at the University of Huddersfield and a Post-Graduate Diploma in Management with the Chartered Management Institute. 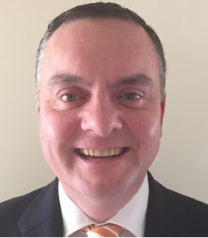 Andrew is committed to providing the highest quality provision and believes firmly that the Further Education sector has a critical role to play in providing learning opportunities to help transform the lives of individuals and impact positively on employers. In his spare time, he enjoys reading, spending time on his boat and anything related to I.T. At weekends, he can usually be seen out walking on the fells with his two beagles, Freddie and Ralph. Terry Barnett, FCMI, MIOD, CERTED. Terry is the Managing Director of Hawk Training, who were the first independent learning provider in England to be graded ‘Outstanding’ by Ofsted in 2013 (Common Inspection Framework 2012). Terry is also a Director of the Association of Employment and Learning Providers. 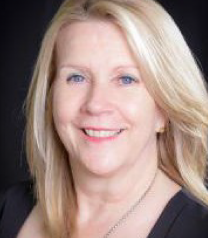 Jackie is the founder and chief executive of LITE (Stockport) Ltd and LITE Ltd (St Helens). LITE is an apprenticeship training organisation, the first in the land based sector to be awarded ‘Outstanding’ at inspection. She also has experience teaching in schools and colleges. 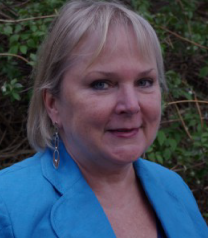 Jackie is an experienced inspector of further education and work based learning and is currently an Ofsted Inspector. 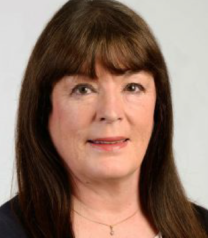 Jackie is also a director of Merseyside Learning Providers Federation. 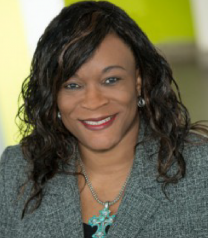 Stella Mbubaegbu CBE is the Principal & Chief Executive of Highbury College, Portsmouth. She is Chair of the Gazelle Colleges Group, of which Highbury is a key member, a Fellow of the Institute of Directors, the Royal Society of Arts, the NEF Institute of Innovation and Knowledge Exchange and the City & Guilds of London Institute (FCGI), as well as the South East Region’s WorldSkills UK Champion. Stella chairs the Skills Workstream of ‘Shaping the Future of Portsmouth, a private/public sector partnership focused on delivering the city’s Regeneration Strategy. Dan was appointed as CEO of the Chartered Institution in January 2017. Prior to taking up his appointment he was the CEO of Kennedy Scott, a Welfare to Work provider. From 2004, he was the Chief Executive of a major skills provider for 9 years and was a member of the independent panel of the review of Professionalism in Further Education, published in October 2012. He began his career as a secondary school teacher and then moved into the hospitality sector where he spent 24 years both in the UK and abroad, mainly working for major UK public limited companies. 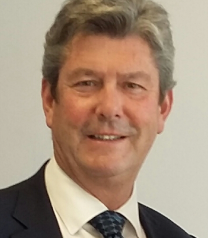 In May 2009, he was appointed to the Board of WorldSkills 2011 and continues to serve on the audit committee of WorldSkills UK. He is a Fellow of the Institute of Hospitality, a Fellow of the Royal Society for the Encouragement of Arts and Manufacture and a Board member of The Institute for Employability Professionals. Kerry has held leadership and management roles in a range of FE Sectors. 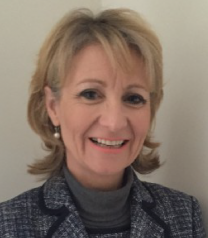 She is a Director of ALIN, a consultancy she established to help develop and improve education and training providers to become high performing organisations both in the UK and internationally. A former Matrix assessor and inspector for Ofsted, Kerry has a wealth of experience identifying outstanding provision and supporting organisations to recognise and share best practice. Kerry is also a specialist in working with and supporting challenging and disadvantaged groups, including SEND learners, helping them to overcome barriers to learning and to succeed. Nicky has worked with the greater FE and HE sectors all her working life as a teacher and manager. She worked for the FEFC inspection team and then as Director of Inspection for the Training Standards Council and the Adult Learning Inspectorate where she developed the initial Common Inspection Framework for use across FE. Nicky was responsible for designing inspection methods and training for full and part-time inspectors and for quality assuring the inspection process. Since 2007 she has worked as Director of a consultancy helping the sector to improve the quality of their service to learners. Mike has worked in the education and training sector for over 20 years in a variety of senior and leadership roles, he is currently a Director and Partner at BWB Group who provide insight and consultancy to colleges, training providers and employers on their engagement, delivery, sales and attraction strategies for talent and educational development. 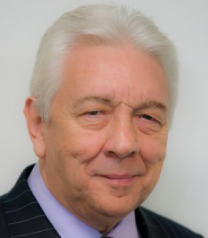 Prior to setting up BWB Group, Mike was Director of Account Management for a national training provider and began his career at the Manchester Chamber of Commerce and Industry, he is a specialist at setting up large, complex, multi-nation Apprenticeship and vocational programmes. Beri currently works as an educational consultant and as an FE Adviser as a member of the FE Commissioner’s team. In this role she participates in college interventions, progress and Area Reviews. Previously she was CEO and Principal of a successful FE College and prior to that a Vice Principal. From 1993 until very recently Beri was a registered Ofsted inspector. Her particular expertise is in quality improvement, strategic planning and management development. Beri is Trustee of a multi Academy Trust and a co-opted Board member of an FE College. You will hear from us in due course. Oops! Something seems to be wrong. Please double check your details. By providing your email address you agree to receive email communications from The Chartered Institution for Further Education.